State environmental regulators are nearing a long-awaited decision on a permit to expand a hazardous waste facility in Detroit. U.S. Ecology first applied for a permit to expand storage capacity ten-fold at its Detroit North facility in 2015. But the application stalled in the face of major political and community opposition. Some residents and activists have major concerns. 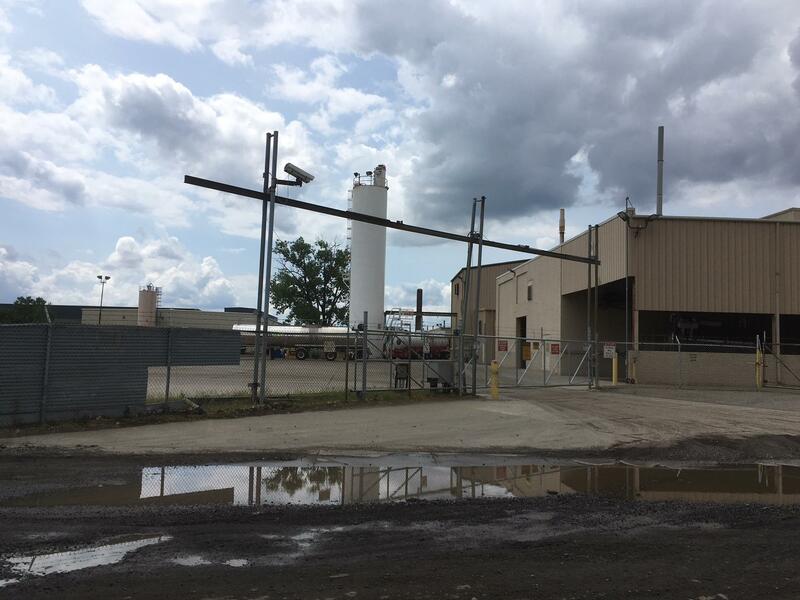 They question whether the Michigan Department of Environmental Quality permitting process is stringent enough, and whether environmental monitoring will be adequate for the new proposed scale of the facility. They also note that the U.S. Ecology has numerous violations for discharging high levels of some chemicals into Detroit’s sewer system, though the company notes those violations have been reduced dramatically in the past couple of years. Reverend D. Alexander Bullock says the concerns are valid. “You’ve got a small agency [MDEQ] that can’t really do the job, you’ve got a corporation that we’re not sure we can trust to do it, and you’ve got a state government and the city of Detroit that may be dropping the ball,” Bullock said. Both the Detroit City Council and Hamtramck City Council (that city also adjoins the Detroit North facility) have passed resolutions opposing the expansion, and local politicians including the area's State Rep. Isaac Robinson have also lined up to object. Nick Leonard, executive director of the Great Lakes Environmental Law Center, questions why MDEQ would continue to waive groundwater and soil monitoring requirements at the facility. But Leonard and others also ask why a facility in this particular community—with its largely low-income, African-American and immigrant populations—would be targeted for expansion. Leonard says that’s an environmental injustice. “They are seen as the paths of least resistance. They are seen as groups that don’t have the political power to stop these things from being located in their backyard,” he said. U.S. Ecology spokesman John Truscott says the expansion is mostly about expanding storage, not increased treatment of hazardous waste materials. He points out that the facility has been operating there in some form for 50 years, and is there because it’s near manufacturing facilities that are some of its customers. The MDEQ planned to hold a final community meeting on the proposed permit in Hamtramck Thursday, with translators provided for the Yemeni and Bangladeshi communities, who critics said had been left out of the process. The agency is expected to finally make a decision on the permit soon after that. Stateside’s conversations with Richard Conforti, supervisor for the management and tracking unit at the Michigan Department of Environmental Quality; Noah Hall, professor of law at Wayne State University and founder of the Great Lakes Environmental Law Center; and John Truscott, spokesperson for US Ecology. US Ecology, an Idaho-based company, is close to receiving approval for a large expansion of its hazardous waste facility on Detroit’s east side, near Hamtramck. The expansion would increase the facility’s storage capacity nine-fold, from 76,000 to 677,000 gallons. Wayne County Executive Warren Evans is urging the Michigan Department of Environmental Quality to reject permit requests that would allow Marathon Oil and US Ecology to increase emissions and hazardous waste. The Marathon Petroleum Refinery in Detroit has been embroiled in controversy over its request to increase sulfur dioxide emissions. "Our request there is: Before you even contemplate an increase in the permitting, that you show us that you're making some concrete steps in controlling the pollution that's already there," Evans said. Today is the last day for the public to weigh in on plans to expand a toxic waste facility in an east Detroit neighborhood. US Ecology wants permission to expand its capacity to treat and store hazardous materials to 10 times what it handles now. That includes byproducts from oil and gas fracking. Concerns from local officials and residents who live near the facility prompted the Michigan Department of Environmental Quality to extend the public comment period twice. Richard Conforti with MDEQ said so far, the state has received around 450 comments.